Content curation isn't just a buzzword, it's a time-consuming day-to-day for many online marketers. And unless you have a significant social budget (and many do not), RSS readers can be the online marketers' best friend - or at least a reliable close friend. Content curation isn’t just a buzzword, it’s a time-consuming day-to-day for many online marketers. And unless you have a significant social budget (and many do not), RSS readers can be the online marketers’ best friend – or at least a reliable close friend. 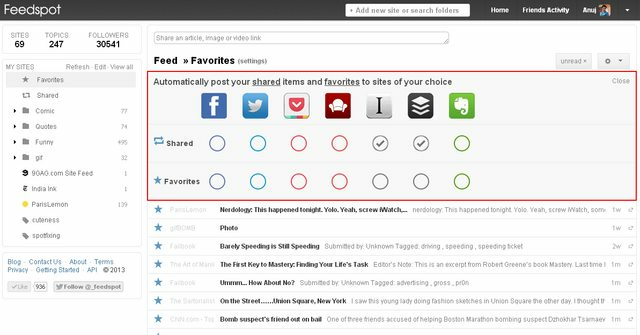 Google Reader is gone now and many RSS-dependent folks have already found a new home, but before you completely settle in, you’ll want to consider at least one more option – Feedspot. We think once you do, you’ll likely relocate. So read this and give the site a whirl before scanning through your feeds today. [Although] Readers have declined in importance as users have shifted to news-sharing sites and mobile news kiosks [and s]ocial platforms, such as Reddit and Twitter, are a great way to find interesting articles . . . they’re not a good way to ensure that you’ve read everything from a particular source, or everything about a particular topic. Readers solve this problem. If you’ve yet to use one, you really should try a few on for size before dismissing them. They vary in layout and ease of use, but they bring everything together, from multiple sources, and allow you to scan the latest news – and reader apps allow you to share them. The better apps go beyond an awesome layout, marking items as “read” and allowing social sharing though – they also provide analytics on your efforts, so you can see which pieces resonate with your audience. And the step BEYOND that adds the ability to organize and save items for future reference. Enter Feedspot. Social – Lets you follow other users and see posts shared by them in your news feed. Share external links, Images and Video. Give a Status Update or Share an article with a personal note to your followers. 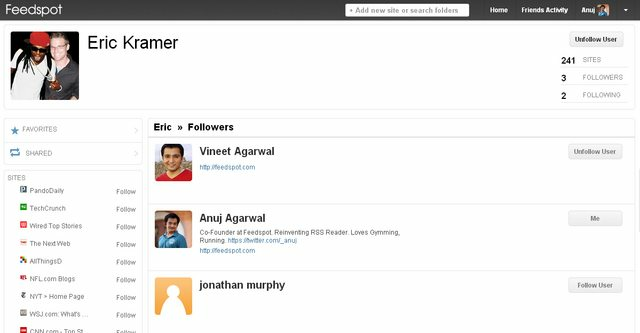 Search & Follow Folders – Users can search for public folders created by other users and follow those folders. It also lets you share your folders with your friends, family and co-workers. Advanced Sharing – For the power user who wants to share to one or multiple social networks. Users can post their favorites directly to Facebook, Twitter, Pocket, Bufferapp, Readability and others. Additionally, there is an RSS feed for your folders, tags, favorites and shared items. They’re in public beta right now and have a fully working and responsive mobile web version and will be adding analytics in the coming weeks. And please note, it’s a Freemium service, so you’ll have to pay to unlock the more advanced options like search and the pro sharing options referenced above. So if you’re considering trying out an RSS reader – or if you’re still searching for a good Feedly alternative, Feedspot is a solid contender for your time.